Dan is a senior coach, coach trainer and author with more than 20 years of experience in coaching and training coaches. He has more than 7500 hours of coaching expereince and has trained thousands of coaches worldwide. He has trained and coached safety leaders and teams from high-reliability industries such as Aerospace and Chemical Manufacturing. Dan’s specialty is developing the human and relational skills necessary to drive world class safety performance. He engages the power of our three centers of intelligence (Body. Emotions and Language) in his coaching, which means his coaching is not just limited to intellect and that approach delivers faster and sustainable results for his clients. 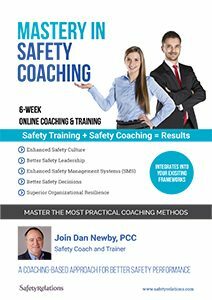 He is the course leader for the “Mastery in Safety Coaching” program presented by SafetyRelations, and the program has received rave reviews from participants worldwide. 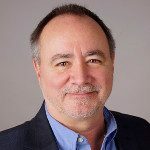 Dan has taught, presented and coached leaders and organizations in the U.S., Canada, Europe, South Africa, Singapore, India, Pakistan, Latin America and Jamaica. He is a Professional Certified Coach (PCC) by the International Coach Federation (ICF) and his coaching programs are fully aligned to ICF’s guidelines and ethical standards.